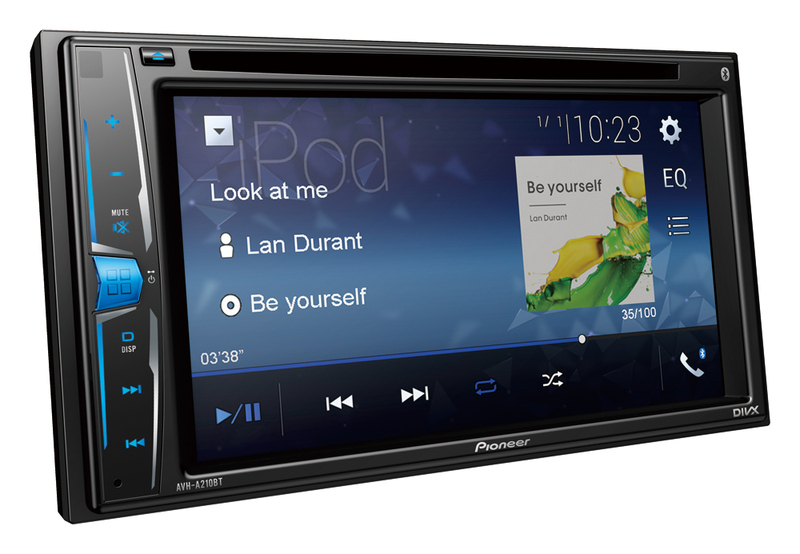 6.2” Clear Type Resistive touchscreen CD/DVD tuner with USB, Aux-in and video out, also supports iPod / iPhone Direct Control. Take your music and video collection with you on the road. Whether it is stored on CDs, DVDs, a USB device or on the latest iPhone, the AVH-A210BT plays audio/video from almost any source. 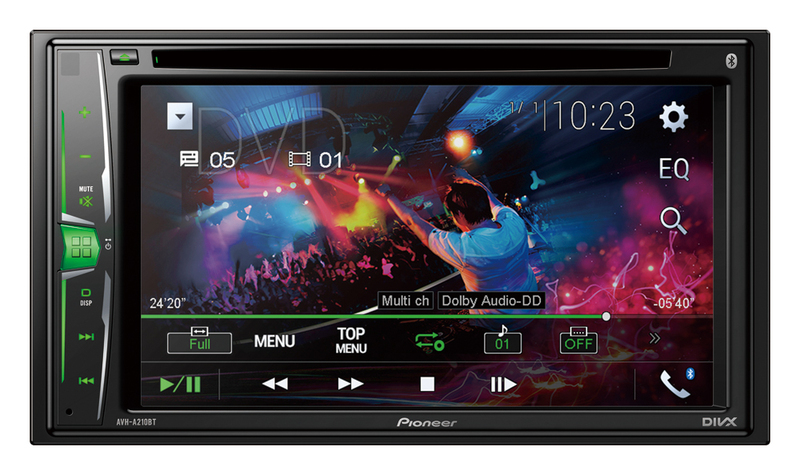 Additionally, this car AV player features Bluetooth, allowing you to stream your music or call hands-free over a wireless connection.